January 19, 2015 Sidney Blaylock, Jr.
For me, 2015 is all about Dreaming Big. On New Year’s Day, I was half-watching the 2015 Rose Bowl Parade while doing something else. I have always loved the floats, be they crazy, inventive, traditional, or imaginative. Usually, the floats have some elements of whimsy associated with them and I usually gravitate to the floats that are fantastical, futuristic, or highly imaginative in some way (the floats that feature animals are a particular favorite). 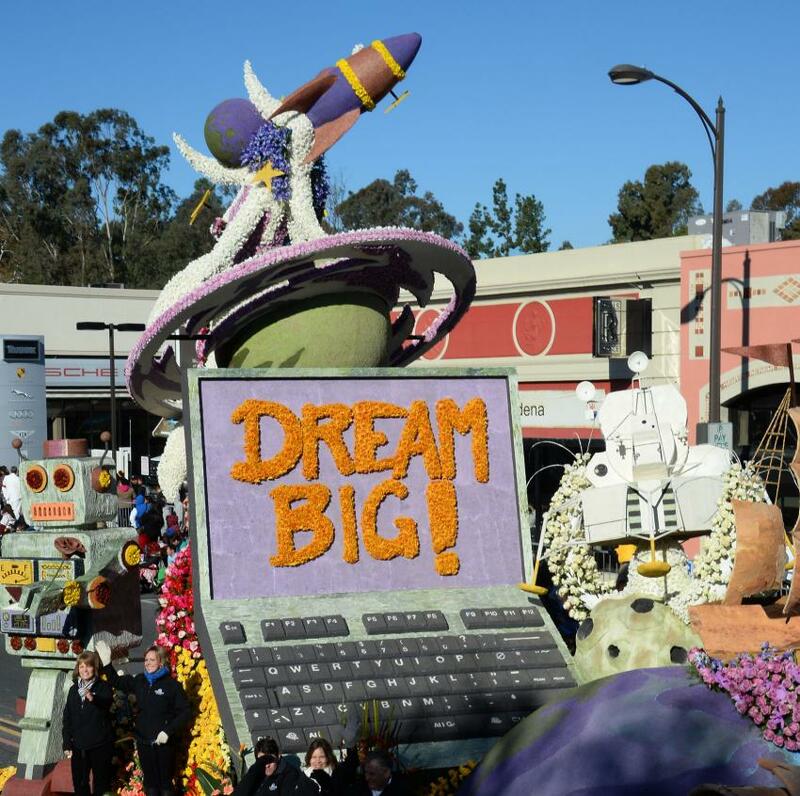 This year, the “Dream Big: World of Possibility” float caught my eye. It featured Jack Black and one of his former teachers (among others). It was also designed to honor teachers. It had fantasy and sci-fi elements and I was captivated. So, my motto for 2015 is simply, “Dream Big.” How that manifests itself this year, I don’t really know. I’m hoping that it translates into my first novel, but we’ll see. So essentially, 3 months of focused writing time, followed by a period of submissions out to markets. Then I’ll try to find another deadline to write to–did I mention that I’m pretty good with deadlines? Incidentally, I made the banner a link, so click on it if you want to find out more about the Far Orbit: Apogee and the type of work they are accepting. Weekly Apple Router Update: Still not working correctly. I thought on Friday night/Saturday I had a breakthrough as devices such as the iPad and iPhone were able to connect after I erased several passwords and “repaired” my hard drive using the Mac’s Disk Utility feature to “clean up” permissions and “repair” the disk. But, later Saturday night, I started to lose wi-fi and by the end of the night, Internet was completely down. Couldn’t even access it through the ethernet port (which is one reason that this blog post is a day late). There are several errors that seem to be in play and I’m not sure what’s going on. For anyone who even wants a sample of the frustration that I’m having with my network right now, check out this forum posts: https://discussions.apple.com/thread/6607637?start=30&tstart=0. And this is only one of the MANY threads that I’ve read over the past 3 weeks. Still not sure of what the problem actually is–firmware, Airport Utility, settings, flaky unit, or what? I just know that it is very hard to diagnose and I’m limping along right now. Weekly Writing Update: Didn’t get a ton of writing done this week, but I did get SOME writing done, so I would call it a successful week. Worked on two projects: HawkeMoon and Project Skye. Also discovered something: I’m okay for creative writing on Tuesday nights, but by Thursday nights I’m exhausted. Might try to REVISE or REWRITE on that night and see if that works better–I didn’t get ANY writing done Thursday despite my best intentions. I’ll see how it goes.